A key component of the IT Event Management process is consolidation of events from across the enterprise. 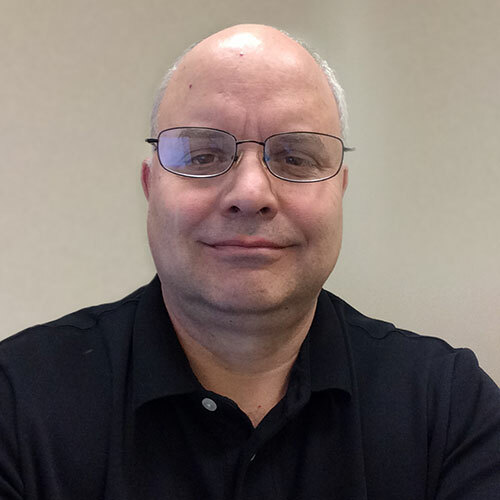 By consolidating disparate events into a single solution, they can be de-duplicated and correlated. For example, network failure events can be correlated with system failures, and then prioritized based on service impact. Most IT event management systems have a steep learning curve, with coding in complex rule languages to do any advanced processing of events. Evanios is designed around the ITIL v3 IT event management process, with each rule type aligning directly to that process. The result? Simplification through the creation of a powerful GUI driven rules engine and configurations that do not require a masters degree in engineering, only a desire to improve and an understanding of what you want to accomplish. 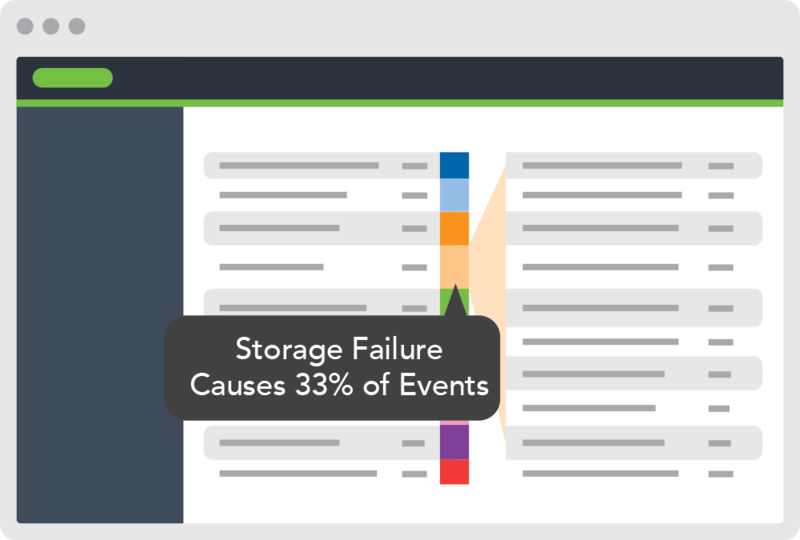 Network failure events can be correlated with system failures. 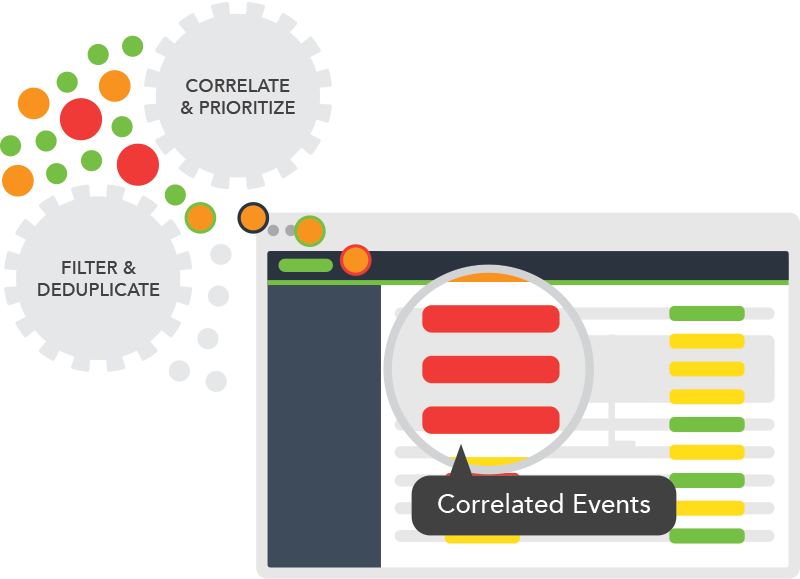 Events are collected locally within the environment using our consolidation points, and only those consolidation points make connections to ServiceNow. This limits the number of systems sending data out to the cloud, limits firewall rules, and submits data using secure outbound HTTPS communication. Consolidation points are highly available, and can be configured in an active/active or active/passive failover scenario. 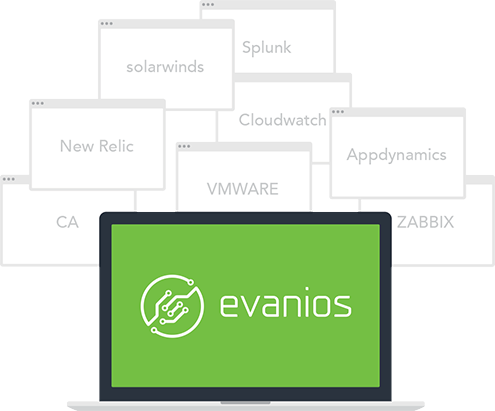 EVA, the Evanios consolidation point is a lightweight application that runs alongside the ServiceNow MID server within a customer environment. 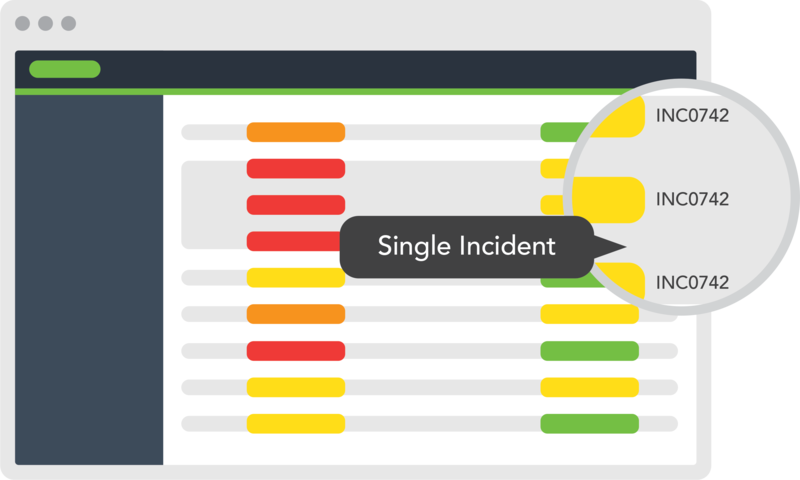 EVA receives event data, then provide detection, translation, and pre-filtering of events prior to sending them to ServiceNow. Noise can be filtered close to the source to optimize performance, as well as reduce complexity. The entire application (running natively on ServiceNow) is built to scale, incorporating performance tuning best practices along with a design which minimizes database writes during incoming event processing. Event Filtering, Deduplication and Correlation, part of Evanios overall IT Event Management capability, is included with Evanios Professional, Enterprise and Enterprise Plus edition. Compare versions for more information.